А unique mobile RTS like no other in the store. In this game you have to fight with other players, invent new combat tactics, develop your victorious strategies, upgrade the infantry, land vehicles, navy and air force to obtain superiority over the enemy on the battlefield. The action takes place in the near future. The world is engulfed by a global conflict between the Confederation and the Resistance. Choose your side and fight shoulder to shoulder with other commanders to win in this confrontation. ● Classical RTS control system in battles. You can control each unit directly. ● Real time PvP battles with stunning detailed graphics will provide you with a full immersion. 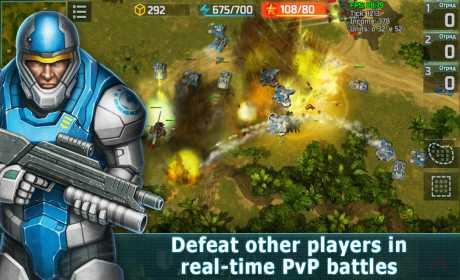 ● A variety of units and tactical abilities allows to invent different victorious strategies. ● Two warring factions with their own features, unique combat units, strengths and weaknesses. 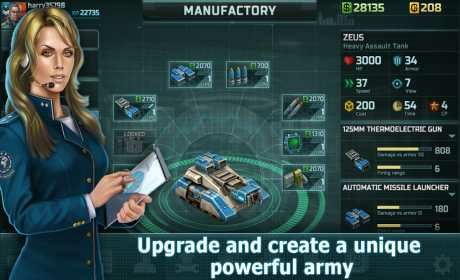 ● А huge number of unit and building upgrades gives you ample opportunities to create your unique victorious army. ● Continuous World War in which the clans fight each other for dominance over the regions and the entire world (in development). ● Many campaign single-player missions for each faction including dozens of hours of game time. 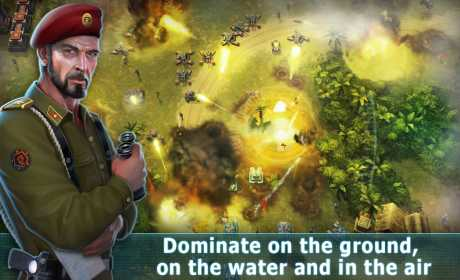 This real-time strategy (RTS) game gives you an opportunity to feel yourself like a general on the battlefield. Build your base, train infantry, produce tanks and battle vehicles, aviation and warships to defeat the enemy. Use superweapons and unleash your power! Join with your friends into a clan and fight other clans to dominate the world. The game is in a soft-launch.